We got ya covered. 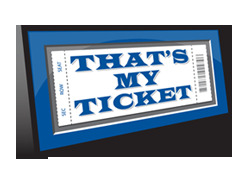 We can make a replica ticket with your exact seat info. Simply provide us with your ticket information above and your stand will come with an officially licensed, personalized replica ticket. (select above - $15.00 additional cost - back of the ticket will be blank) Please note the logo on replica tickets is of the home team. Games 1 & 2 will have Red Sox logo on them (as shown). Games 3, 4 & 5 will have Dodgers logo. Spring Training starts in February and the World Series ends around Halloween. In short, the baseball season is long. That’s why a World Series championship is so special. That’s why players speak passionately about working towards this single goal. So as fans you gotta be sure you commemorate a title properly. 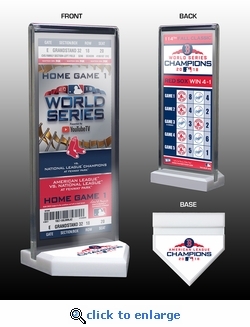 This World Series Commemorative Ticket Display does exactly that. 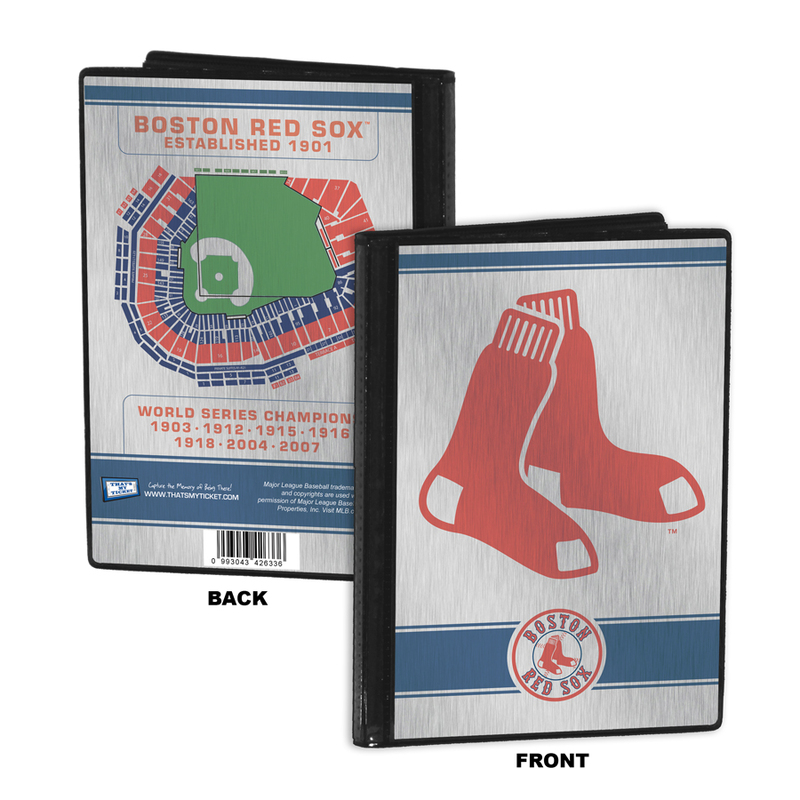 It features a commemorative World Series ticket made directly from an authentic ticket from a key home game. Plus, the ticket’s back side sports the official World Series championship logo as well as the final scores from all games played. It’s a unique combination that creates a great collectible. Please note the logo on replica tickets is of the home team. Games 1 & 2 will have Red Sox logo on them (as shown). 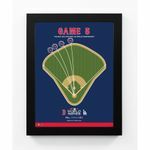 Games 3, 4 & 5 will have Dodgers logo.